FontTwister is designed to create numerous types of illustrations and graphics in the form of text effects, banners, logos, and more. You can create images with transparency, glows, bevels, textures, shadows and more using the styles in the software. The results of the filters are shown immediately and can be edited before exporting. 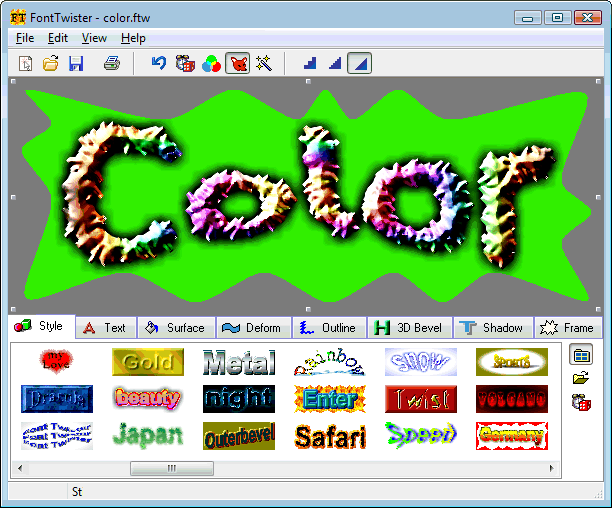 The software can be used with .jpg, .png, .tif, .bmp and .wmf files.